Stuart earned a BS degree in Insurance and Economic Security from the University of South Carolina's Moore School of Business. He is a frequent speaker and author on insurance and risk management topics for the National Business Aviation Association (NBAA), AvBuyer Magazine, and Business Jet Traveler Magazine. 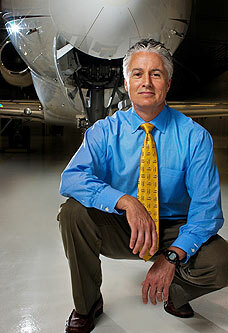 His career as an aviation insurance broker began in 1979. Stuart was inducted into the Aviation Insurance Association's prestigious Eagle Society in 2015 for substantial contributions to the aviation industry. He focuses primarily on providing insurance and risk management solutions for turbine/jet business aircraft, aircraft management companies, fixed base operators, helicopter and charter companies. A life-long fan of exercise, Stuart has competed in marathons, road bike events, triathlons, and most recently competed in the 2018 Reebok Crossfit Games Open & Online Qualifier finishing 108th in the world in the Masters 60+ Division. Stuart also enjoys storming through the daily WOD at the local CrossFit Gym, hiking, and karaoke. His wife, Heidi Darr-Hope, is a professional artist, who created the Arts in Healing Program for Palmetto Richland Memorial Hospital's Center for Cancer Treatment and Research and was a 2011 recipient of the Elizabeth O’Neil Verner Award, SC’s highest award for the arts.